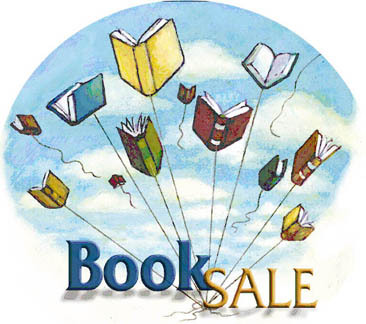 « Last Day of the Children’s Book Sale! 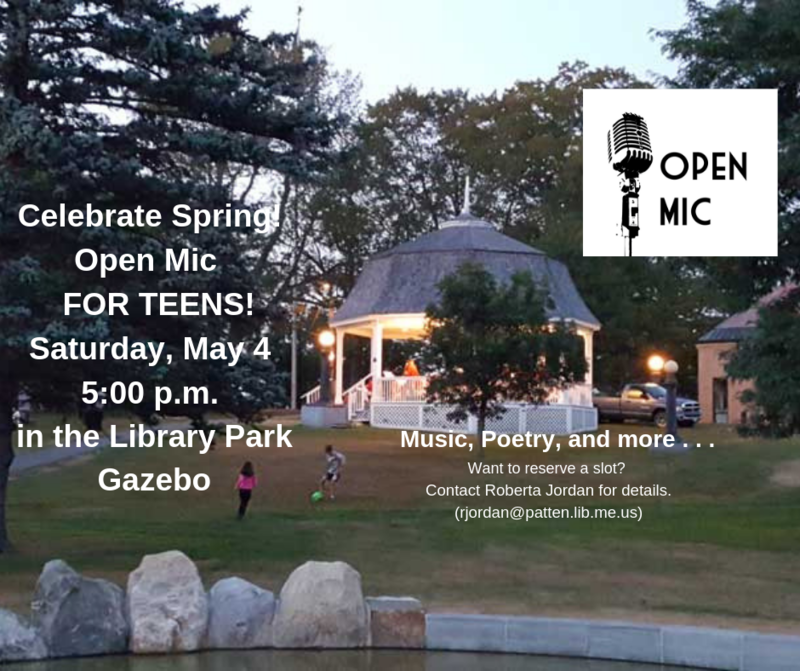 The Teen Library Council is welcoming spring with an open mic event for teens on Saturday, May 4 at 5 p.m. in the Library Park Gazebo! Rain or shine . . . we’ll move inside to the Reading Room if the weather doesn’t cooperate. 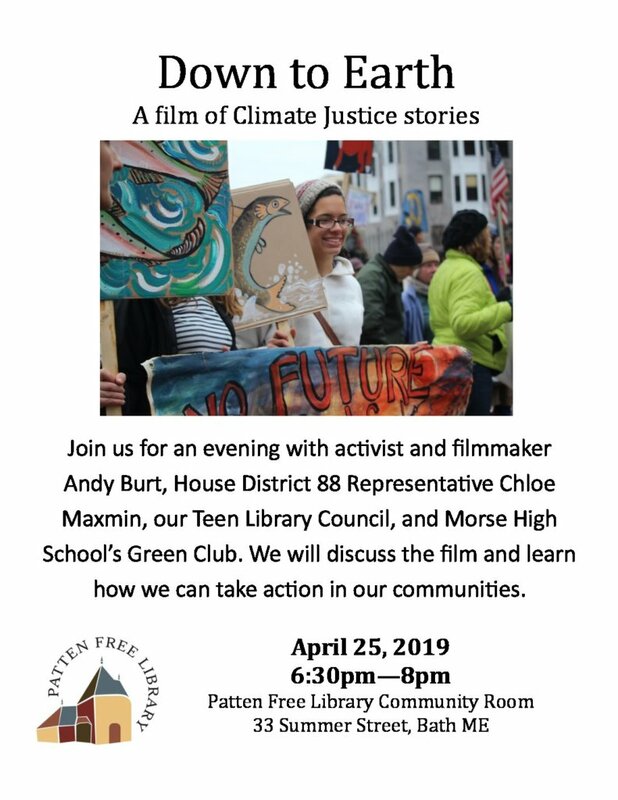 Sign up to perform or come to support your friends who are performing. Sing a song, read a poem, act out a scene from Shakespeare. There’s even room to dance . . . your choice. 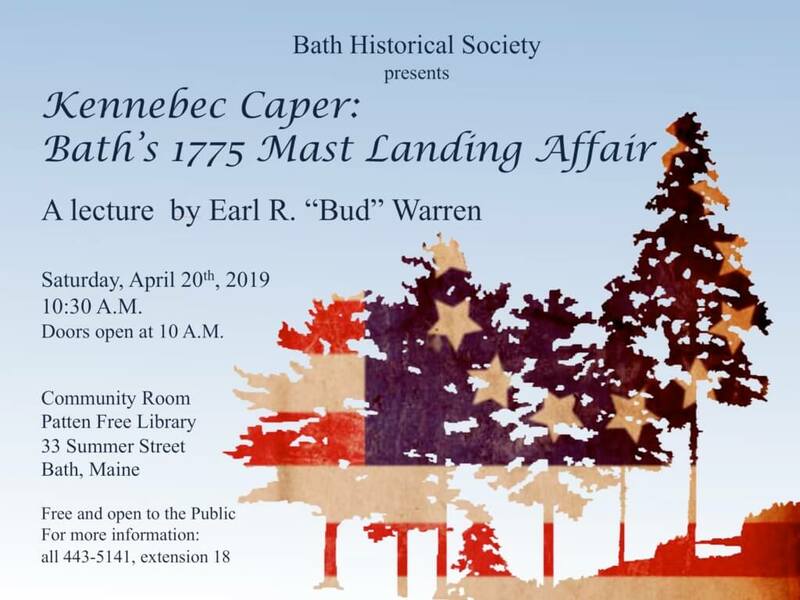 Sign up to perform by May 1 by contacting Emma Roth-Wells or Mae Winglass at Morse, or by contacting Roberta Jordan at the Library (rjordan@patten.lib.me.us).